The greatest range of possibilities – for a multitude of jobs. 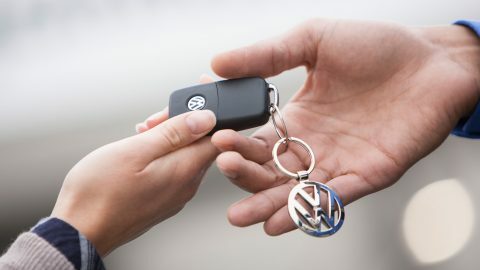 The Transporter Panel Van has been rising to the challenge for more than 65 years. Every subsequent generation aims to use the available space even more efficiently, make difficult jobs even easier, and safely stow the broadest range of goods. That is why the load compartment in the Transporter Panel Van makes no compromises when it comes to functionality and versatility. Outstanding workmanship is the foundation for efficiency and ensures that the van can always handle the challenges it faces. No matter what. Two wheelbases and three roof variants create a load compartment volume of 5.8 to 9.3 m³, and offer a potential payload of up to 1.4 tons. The load security solutions in the Transporter Panel Van with a high partition are state-of-the-art. Durable floor surfaces provide a slip-resistant base. Depending on the wheelbase, the load compartment is fitted with six or eight adjustable lashing rings as standard to secure goods using tensioning straps. 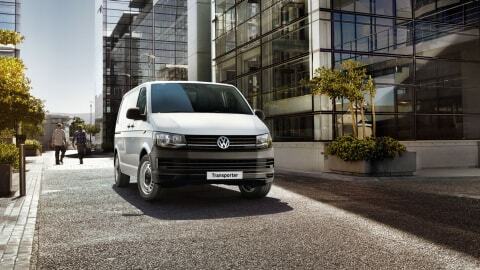 The Transporter Panel Van has the perfect tail-end solutions, no matter the job. Rear wing doors without windows. Each rear wing door has a width of 736 mm and gives access to the load bay even if space to open doors is limited. This tailgate solution also keeps your cargo out of sight. Standard on the Panel Van. Rear wing doors with windows. If maximum visibility and a sense of space is a requirement, the rear wing doors are also available with windows as an option on the Transporter Panel Van. 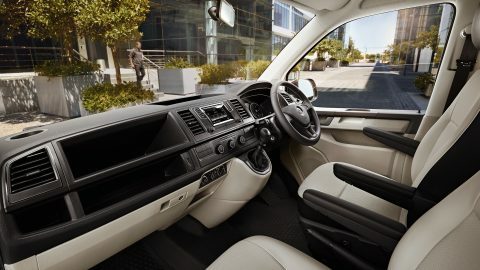 When you get into the Transporter Panel Van, you immediately sense all of the experience that has gone into creating the sixth generation. Everything is intelligently arranged, within easy reach, and has a high quality finish. Customisable adjustment options allow the driver to create the ideal seating position. The Comfort Seat package includes height adjustment, two armrests and lumbar support for the driver. The optional “Plus” multifunction display shows the driver all the important information, along with current vehicle data such as the range, driving time, outside temperature, and gear recommendation. 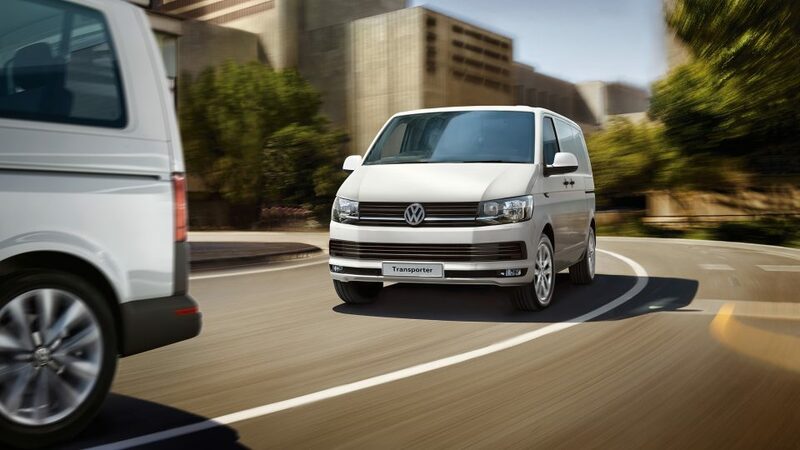 It comes with the multifunction steering wheel, which is available as an option on the Transporter Panel Van Sport. 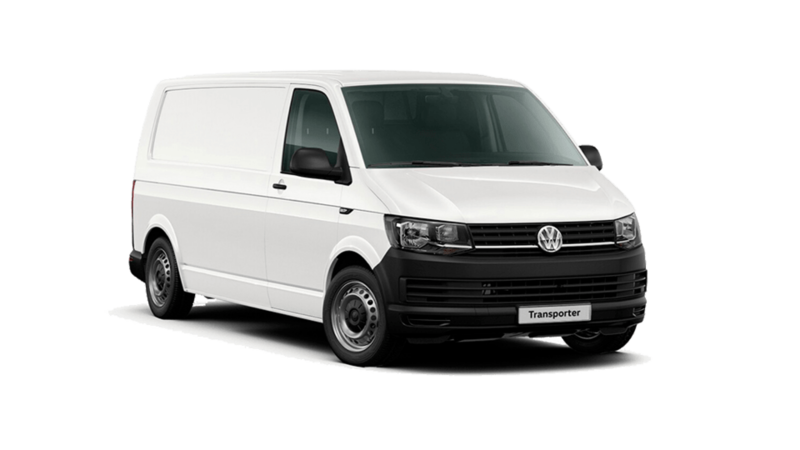 The Transporter Panel Van has what it takes to bring further success to your business. It is available in two wheelbases and three roof heights, offering a load compartment volume of 5.8 to 9.3 m3. 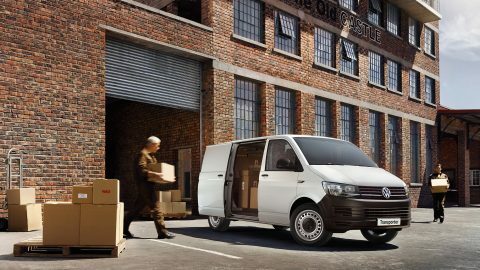 With the option to increase the GVM, and features such as rear wing doors and a 7-speed DSG® gearbox, it’s the very best vehicle to get the job done. 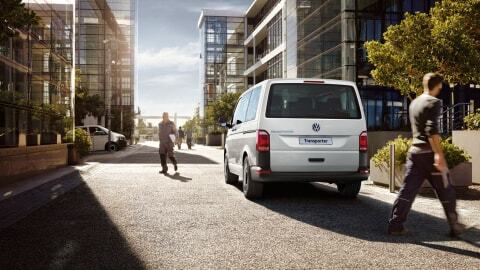 For businesses wanting to stand out from the crowd, the Transporter Panel Van is also available in a Sport model with 16” Clayton alloy wheels, “Composition Colour” radio, dual sliding doors, rear Park Distance Control and a Climatic® air conditioning system. 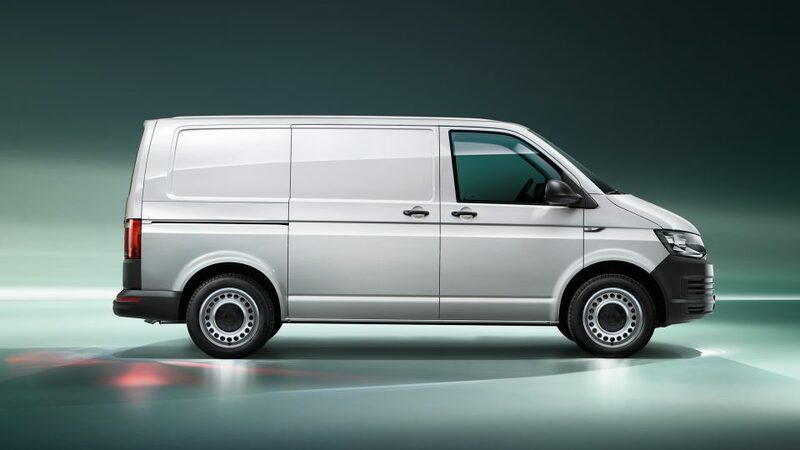 Versatile and flexible, the Transporter Panel Van means business.